Gold Chicken Pate for Dogs | All Things Woof Meow, Too Inc. Finely minced chicken cooked in chicken broth with potatoes, carrots, and peas. Complete and balanced pâté recipes. 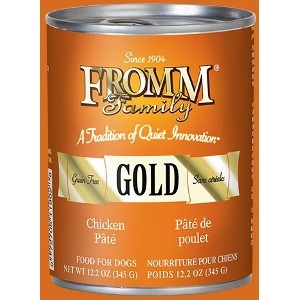 Feed our Gold cans on their own or complement your dog's dry food.